Ballo Baroque is more than an ensemble, it is an exciting project focused on making the Italian musical repertoire from the first half of the 18th century better known and understood for modern audiences. The principal objective of Ballo is to create and perform editions of works by composers such as Handel, Scarlatti, Caldara, and Giovanni Battista Bononcini, as well as several lesser known names including Orlandini, and Lotti. Once the editions are created, the works are presented in performance and recorded. Ballo Baroque eventually aims to make these new editions and recordings readily available to encourage further performances of this little known music. Ballo Baroque Ensemble is comprised of exciting young performers that are establishing themselves internationally while working with some of the world’s top baroque ensembles and orchestras. Recent and upcoming projects include performances at respected London venues including St Martin-in-the-Fields, The National Gallery, the Victoria & Albert Museum, and the Handel House Museum. Randall founded the Ballo Baroque Ensemble in 2013 while studying at the Royal College of Music in London. Having already spent several years researching and locating manuscripts for Baroque works in libraries around the world, creating an ensemble seemed the natural extension to begin performing much of this rediscovered music. In addition to an established operatic performing career, Randall is currently pursuing a PhD at the Royal College of Music – focused on finding manuscripts, creating modern editions, and performing these little-known Baroque works. 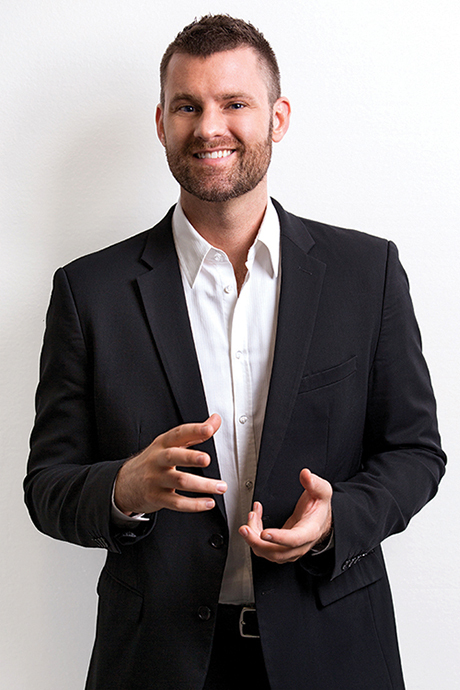 As a countertenor, Randall has worked throughout the world with theatres and ensembles including: il Complesso Barocco; Savaria Baroque Orchestra (Hungary); Festival dei due Mondi in Spoleto (Italy); Seattle Opera; Carnegie Hall; New York City Opera; Brisbane Baroque (Australia); Fort Worth Opera; The New York Philharmonic; Minnesota Opera; Landestheater Neustrelitz (Germany); Ensemble Quito Barocco (Ecuador) and others. His operatic and oratorio roles include many by Handel in the works Orlando, Agrippina, Semele, Giulio Cesare, Rinaldo, and Flavio, and others such as Caldara’s oratorio Santo Stefano, Cavalli’s Eliogabalo, and Vivaldi’s il Tigrane. Recordings include: Ercole sul Termodonte by Vivaldi on DVD, A Water Music by Crabtree, and Santo Stefano by Caldara.